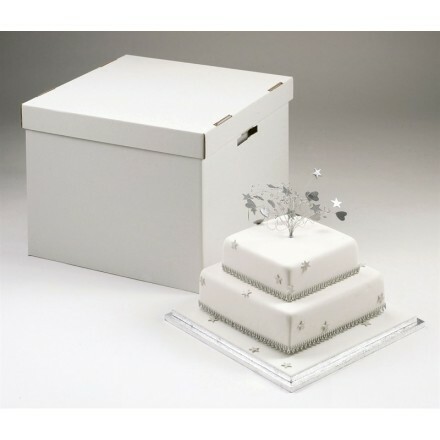 Strong and durable boxes designed for taller cakes. 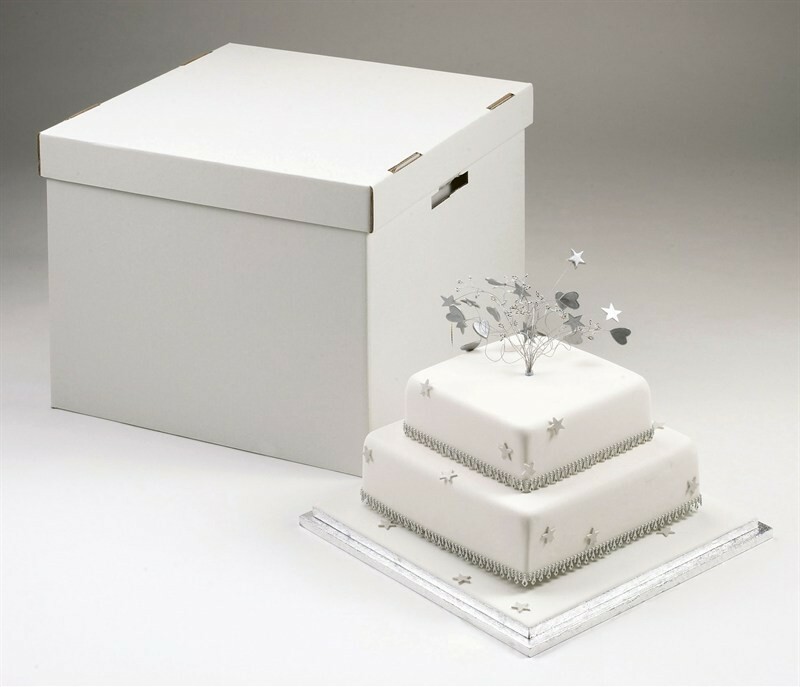 Each box is 16" high, complete with interchangeable round and square base cards so the bottom tier sits snugly in box without moving around. 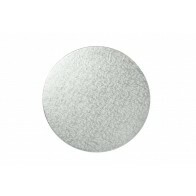 Each base card has a perforated insert so two sizes of cake can fit into each box. 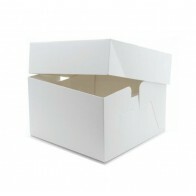 EG The smallest size box will take a cake which on either a 10" or 12" base board. 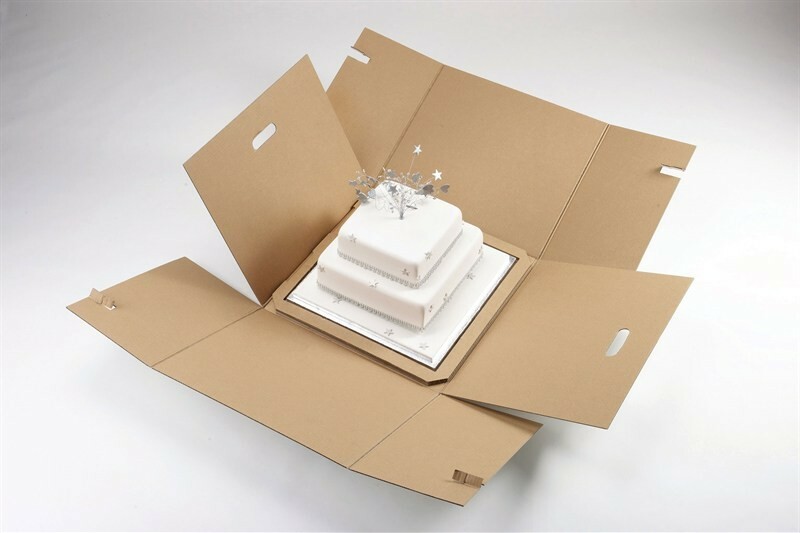 The sides of the box fold out for easy removal of cake. 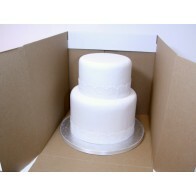 These boxes can be reused and a re perfect for transporting wedding and tiered cakes.